I grew up with the notion that other people’s views, no matter how different from my own, even if those opposing ideas were completely unsupportable, often have nuggets of gold buried within them that we can mine and learn from. It was one of the best lessons my dad taught me, and even though he didn’t always follow his own advice, and I certainly don’t, his instillation of the value of tolerance has served well. By tolerance, I don’t mean a blind acquiescence towards egregious, cruel or inhumane behaviors which are never acceptable, but the allowance for thoughts and ideas that may differ from our own in the quest for those nuggets of gold that serve to open our minds, broaden our world views, and make us more human. It’s probably safe to assume that most people reading these words have similar feelings. As pipe smokers, we seem to be a fairly thoughtful, and therefore tolerant collection of reasonable, sensible and kind-hearted folk. This is demonstrated in many ways; by the generosity of those who pass along tobaccos and pipes to others via "bombing" missions, by the kind support we offer others in need, by the enthusiasm we share when someone tells us of their latest acquisition, by the advice we freely give when others are seeking it. We are human, of course, and suffer to a greater or lesser extent from our frailties, but it seems true that pipe smokers are truly a special bunch. It makes sense, really. 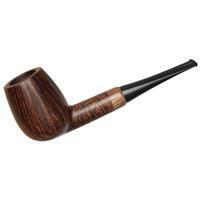 It requires patience to be a pipe smoker, and it takes more than patience to become one. 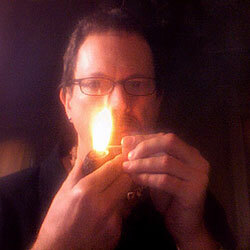 Most of us suffered through the early days of puffing, learning the ins and outs of choosing blends that suit us, perfecting the mechanics of filling the bowl, lighting the tobacco, keeping it lit without sautéing our tongues, the challenges of choosing and breaking-in new pipes, the ritual of keeping the old ones clean; to the onlooker, it’s a deceptively simple thing, but those of us who remember our early experiences, and persisted despite them, know otherwise. Those with less resolve would likely abandon the pastime long before graduating from aspirant to the ranks of the initiated. Thackeray’s sentiments resonate with many of us, and show that through the lens of history, pipe smokers are a reflective lot. Albert Einstein, in 1950, gave us, "I believe that pipe smoking contributes to a somewhat calm and objective judgment in all human affairs." Many similar quotes elude to our tendency as a group towards reflective, philosophical thinking. Maybe there’s something to it. There are certainly larger questions implicit in these, albeit biased, observations, assuming there is at least a seed of truth in them. Why are we perceived this way? Does pipe smoking, as an activity, select for those who are more patient, more tolerant, possessing of a more philosophical nature? 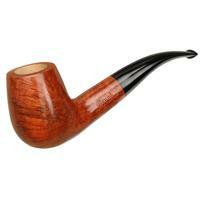 Or does the act of smoking a pipe somehow shape us to be this way? Either way, a picture is painted, a perception created and shared, and, generally, we willingly accept this image. As pipe smokers, we routinely engage in an unhurried, almost ritualistic and decidedly analogue activity within the context of an increasingly fast-paced, digital world. We can’t download tobacco, or digitize our experiences so that we can share them with others. We are forced, when we want to express the tastes and aromas of a certain tobacco, the feel of a pipe in our hands, the joy of a new acquisition (granted, often accompanied by digital photographs), or the sadness of a broken shank, to use one of the most powerful tools of our humanness. We are forced to use language, and that means slowing down a little, taking some time to compose our thoughts, and writing them down in a way we hope will convey something to others who share the passion of our pastime. Over the past couple decades, the interwebs have given us a wonderful opportunity to connect with one another, to join together as a global community. At no time in history have we been able to so easily, albeit virtually, commune with others who are part of the coterie of briar and leaf. The doors have been opened wide. We can instantly find answers to questions about every aspect of tobacciana, share our thoughts, and read those of others. Newsgroups, chatrooms, forums and now social media have also become the gateway to exploration of other cultures, and we make friends along the way with people who share a common interest, many of whom we would never otherwise have met. At no time in history have we had this ability; it’s truly a remarkable thing that’s sometimes easy to take for granted. Of course, the medium is imperfect. It’s not always easy to express ourselves in a way that is clearly understood by those for whose native language is not our own, or whose cultural perspectives may be very different, and this can sometimes lead to misunderstandings and hot tempers, especially when we’re being satirical or sarcastic, but it’s to our credit that these misunderstandings usually work themselves out. 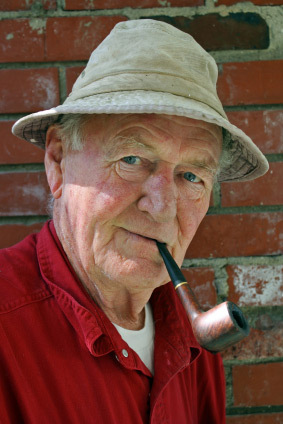 The thoughtful pipe smoker seems to be alive and well, and that’s a good thing. I realize this runs pretty far up the pitch from my usual discussions in this column, but with the rise in hostilities in so many parts of the world, it seems to me that it might be a better place if more of its citizens embraced at least the allegorical image of the pipe smoker, if not the "gentle art" itself. Sadly, as the world’s tensions mount, I’ve witnessed a rise in hostility even within our own ranks, and that’s where the irony lies; it’s the very fact that we are a tolerant bunch that allows this to occur. I think we can sometimes do better. And, I think we should. 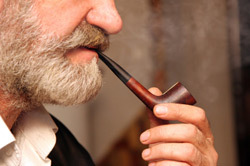 We can’t do much about the global situation, but we can make sure that we make the effort to behave in our own quarters as the historical image of the pipe smoker would prescribe, with the hopes that some of it might rub off on those around us. For all our good nature, we are, as a group, marginalized by society at large simply because we are smokers, users of tobacco, and so we have to do everything possible to stick together, to respect each other, to mine those nuggets of gold implicit in other views, even when they are at odds with our own, because only when we stand together can we endure against the social and political pressures against us all. In The Results and Merits of Tobacco (1844), Doctor Bernstein wrote, "Nowhere in the world will such a brotherly feeling of confidence be experienced as amongst those who sit together smoking their pipes." Whether or not this was actually true then, we can all probably make a more conscious effort in striving to make it true today. I’ll close with one more quote, from A. Conan Doyle’s The Problem of Thor Bridge: "There you have it," said Sherlock Holmes, knocking out the ashes of his after-breakfast pipe and slowly refilling it. Very nice article. I guess if there would be one thing about myself I’d like people to remember was my contemplative demeanor and pipe smoking only adds to that image. Not a bad picture for sure. I generally take people at face value until they speak and I have always felt sometimes more can be said with silence and reflection. I wished more people smoked pipes like they used to, we need more thought in our lives. I can agree with Mr. Pease’s monthly. I do find that pipe smoking has a way of attracting those who hold knowledge, objectivity and thought in high regard. That and people who enjoy tobacco beyond cigarettes. I consider myself a part of both groups. I’ve had a great time within this online community. Yup, if we could just weed out the aromatics smokers and cob suckers, we’d be well-nigh perfect. A well-written and thought-provoking article. It contributes to the general and justifiably widespread opinion that pipe people are, in the main, self-controlled, steady and reliable folk who don’t easily rub up the wrong way or become heated over the slightest thing (no puns intended in those last two statements). The pipe forces a slower and more conscious approach to things. You can’t just fling the tobacco in the bowl and then finish it five minutes later and a good thing this is too. A conscientious smoker will approach his/her pastime with as much care and consideration as possible and this is bound to rub off on other areas too. Well done for highlighting the demands and joys of a pipe in an increasingly hectic, chaotic and ruthless world. I for one intend to get as much enjoyment out of my pipe as I can, but with the maximum amount of loving affection and care as I can, too. Here’s to those precious moments spent cleaning, reaming, polishing, filling, lighting, tamping, puffing and, finally, sighing in contentment whilst the world thrusts itself madly into our faces at almost every turn. Thank you, sir, for your knowledge, wisdom and great encouragement here. Enjoy your pipe today and…take your time over it. It’ll be worth it. A wonderfully written article where many of the quotes are from the 18th and 19th century. Time has proven these quotes to be factual and makes us as pipe smokers feel well about ourselves and the way we live. I really enjoy reading the old tomes of days gone by with regards to pipes and tobacco. It’s nice to see more good publishing done by Briar Books Press and articles like this on pipesmagazine forum to bring about a renewed interest in our hobby and what we enjoy reading about most. Pipes and tobaccos and how we interact with one another in such a civilized manner. Personally I believe that we make the world a better place. A narcissistic statement? Maybe, but that’s my view. Apologies for straying from your main point Mr. P. but I am compelled to note that the marginalization you mentioned is bidding fair to morph into outright persecution. End of digression. Best article of yours I’ve ever read, Greg. We are endowed with instinct and emotion and the ego king, with the supporting players intellect and identity, with their agents, perception and conception; what we commonly call the mind. As we mature we tend to acquire more states of being that belong to the heart, for instance gratitude, acceptance, humility and love as our experience repeatedly tells us the proof that heart must balance the head. Heart and head are two almost entirely different ways of being. While exercising the head we constantly encounter the fact that its version of events is faulty if not downright false, while on the other hand experiencing states of the heart axiomatically gives us contentment, happiness and peace. Again, ego, grounded in the heart, works just fine. We are fortunate that someone with the authority of Mr. Pease has written this article calling for an end to the acrimony that comes from the head. Tolerance is of the heart. Who of us who participates in the internet pipe community has not been intolerant? I certainly have. But these days I have a class reserved for those whose views I find repugnant. When I come across them, I not only exit from their arguments, I also remember their IDs so that when I see them as the author of a thread, I bypass it entirely. I have plenty of opinions, but in the end what do my opinions matter? Who cares about what I think except me? And as being locked in the consciousness of “me,” in the head, is a lonely, negative place, I struggle to remain in “we” or the heart. As always, some excellent comments. Mike, your choice to remove yourself from discussions that you find repugnant shows the sort of wisdom that I hope, one day, to have some mastery over, myself. Thanks for the reminder. I could not agree more and what’s even more encouraging is the number of younger people (and women) that seem to be entering the ranks almost daily. Fill a room with pipe smokers and you will see representation from almost every demographic and the amount of mutual respect among those people is what is most noteworthy. An excellent piece and well worth re-reading. Greg your columns are always so interesting to read and then reflect upon. This one as usual hits it home. Thanks and keep up! As I’ve observed elsewhere, it is fundamental to western philosophy, Judaism, Christianity, Indian philosophy, the U.S. Constitution and many modern philosophies that no one can possess the truth. The truth is only approached in dialog with those we disagree with. Call it the Socratic method, checks and balances or whatever you choose. When anyone claims to own the truth they are wrong. When dialog breaks down, when ideologues demonize rather than respectfully listen to their opponents, both sides lose and violence becomes the order of the day. With so much of the world seemingly moving away from respectful dialog the community of pipers, at least amongst ourselves, can demonstrate a higher standard. Which is one of the reasons I choose to hang out here. What a terrific essay, Greg. I remember years ago sitting next to the great Italian pipe maker, Paolo Becker, at the Chicago pipe show and discussing some serious debates that were going on in the hobby at the time. There were many heated tempers on both sides of various issues. I will never forget the way Paolo smiled, sat back, puffed on his pipe and said, “Yes, but in the end we will all emerge as friends because we are pipe smokers.” And he was right. Thanks, Rick, for the kind words and for sharing that wonderful anecdote. 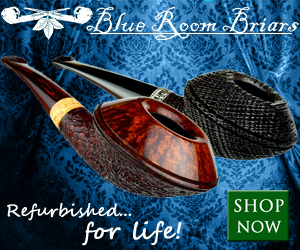 Paolo carries on his father’s legacy as a true gentleman, as does his son, Frederico, who is also emerging as a fine pipe maker in his own right. Very nice article. That’s why I love this family of pipe smokers. Dear Greg, You can certainly pack a lot of thought into a small space. I’ve read this article several times and each time came away with something new, so thanks. 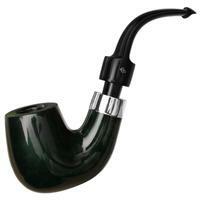 The very act of smoking a pipe demands an appreciation for the concept of achievement requiring effort. Indeed I believe it is the single idea that binds us together. In the progression from novice to devotee, one must embrace the idea that only after you have given that wonderful implement in your hand the proper homage of preparation, can you hope to coax from it the wonderful experience you seek. Indeed the practice is almost, if not actually, ritualistic for most of us. The idea good things come from our effort is not at all abject but rather reinforced daily and our concept of reality reflects it. We accept the idea that results are the product of good effort. From there it’s an easy jump for that view to become reality in all that surrounds us. We are those things you so eloquently portrayed for that reason more than any I believe. What I do determines the outcome I experience and pipe smokers are always willing to do “the right thing” because doing that rewards them very day. Failing to always has an undesirable consequences. Its real life and at the core of our belief system. We behave accordingly.